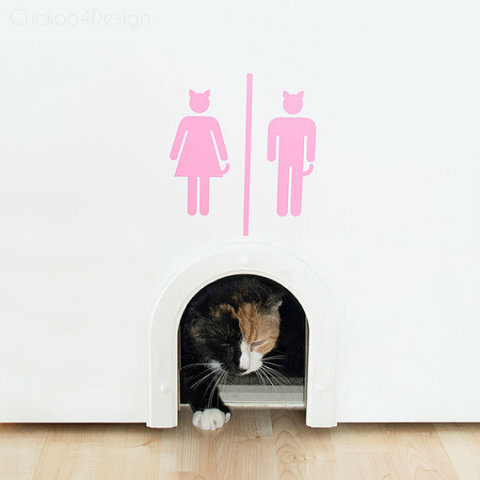 The Kitty Pass is an interior cat door passageway that is designed to be ridiculously cute yet highly functional. 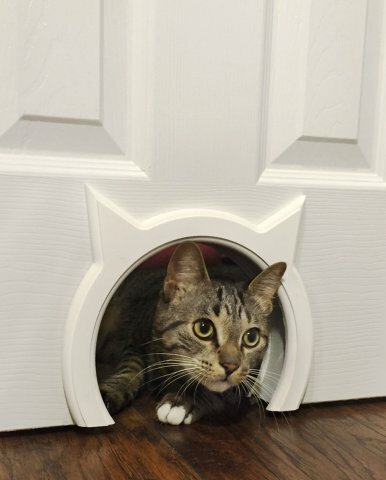 Shaped with ears on the front side of the hole and with a tail on the back side of the hole, this cat door allows your cat to have a wide opening to pass through doors comfortably. 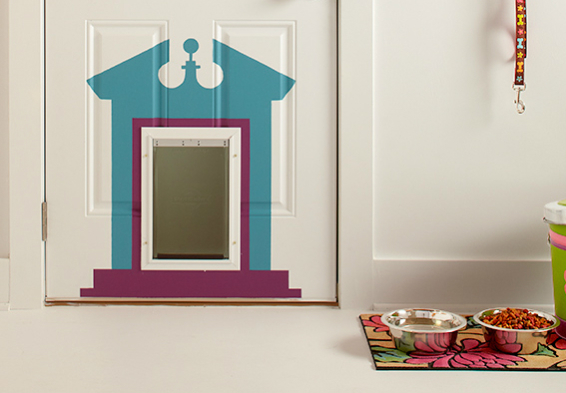 This ultra creative cat door has a vintage look which will make your visitors say "wow." 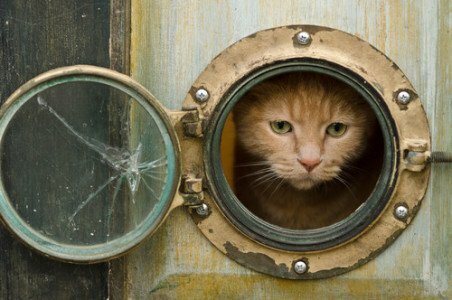 The creator constructed this clever cat "portal" from a mini porthole window and nautical equipment. 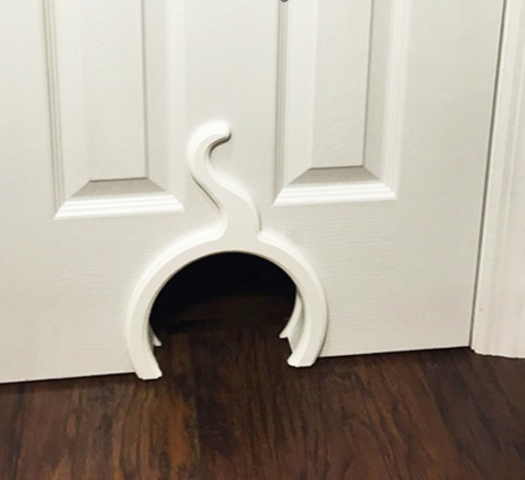 With a few unique supplies and some handiwork, she was able to create an original cat door that you just don't see every day. If you're inspired to make your own, you can create your own DIY porthole cat door by using one of these porthole windows.You just need to cut a hole to the proper size and install the port hole. This is great for indoor passageways. This lockable Cat Mate has a tamper proof slide lock, along with a tough polymer flap to ensure your cat only leaves the home at appropriate times. The transparent flap is preferred by most cats and features a magnetic enclosure and a weatherproof seal to guarantee that no drafts come through. 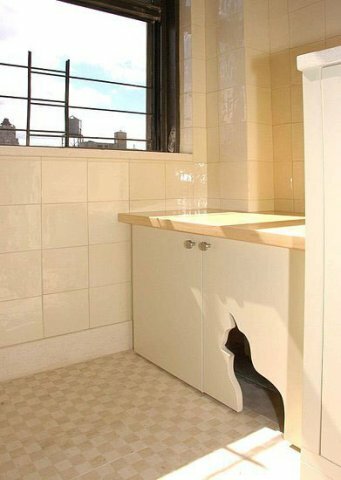 This cat door gets rave reviews. Purchase the Ani Mate 4-Way Locking Cat Door for screen doors here and regular doors here. If you want to be a bit more decorative and fun, you can add a pretty border of paint. Lowe's has details on painting this DIY Pet Door including this great downloadable stencil pdf for the design. 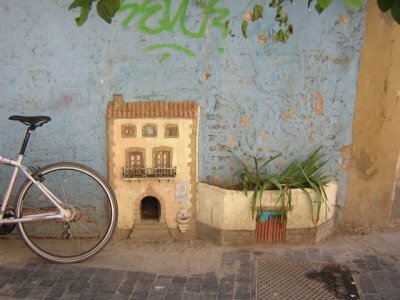 This clever cat owner had a small dilemma of the dog always eating her cat's food, so she created a cute cat house. 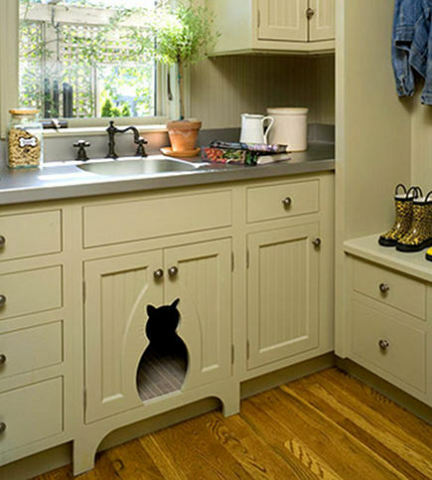 She placed the food into the laundry room, and then created an adorable cat door from scrap wood and decorative trim, so just her cat could get to her food. The door was constructed plywood, small screws, wood glue, and L-brackets to hang it. 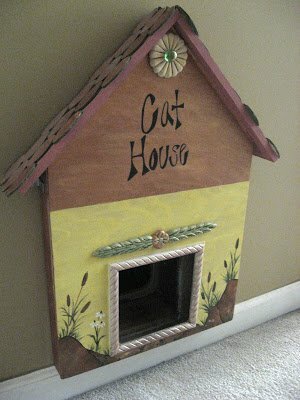 As a finishing touch, she painted it and added decoration, ending up with a creative, fun, and practical cat door. This cat door is designed to give your cat easy access to food or litter with a nice brush along the way. The cat door is designed to fit into a standard door size, with easy installation and everything you need to start. It comes with a removable brush that is surprisingly effective in brushing your cat. It is one of those rare products with hundreds of rave reviews on Amazon here. 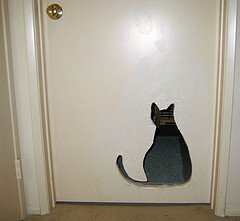 A really cute touch would be to add a decal to add a fun touch to the top of the cat door like this one. 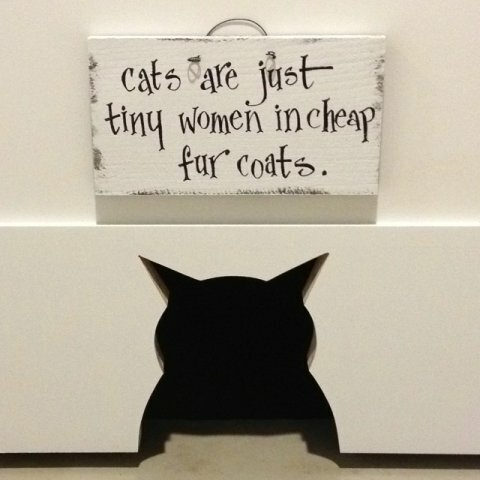 You can buy the cute litterbox decal on Etsy. 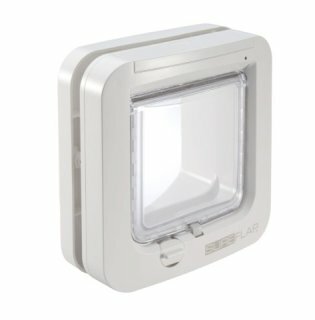 This SureFlap Microchip Cat Door works with your cat's existing microchip to let your cat in when he comes. Any cat can leave when he pleases, but only your cat can come back in. It's like giving your cat a key to the house! 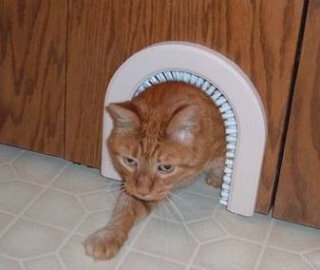 This cat door opens outward when your cat comes close to it so he can exit, leaving home as he pleases. 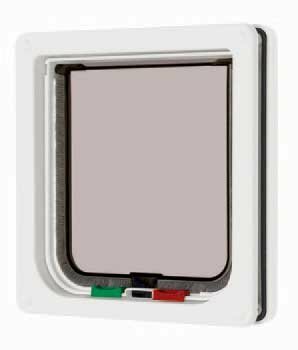 The microchip cat door is suitable for small and medium cats, and can be installed in windows, walls, or doors. 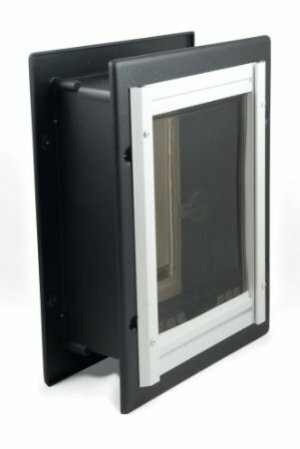 This amazing PetSafe Telescoping Aluminum Wall Entry Pet Door is designed with a telescoping tunnel to fit the size of your wall. It has double magnetic flaps for closure in and out, and the telescoping sill has excellent insulation. 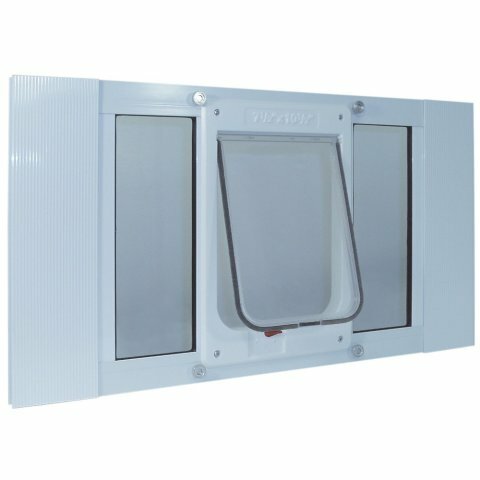 This pet door works for both cats and dogs, comes in a three sizes, and is effective in keeping cold and wet weather out. The Sherbet Alley Deluxe Pastels Pet Portal is an adorable pet door constructed with strong plastic and reinforced with a painted steel security door. 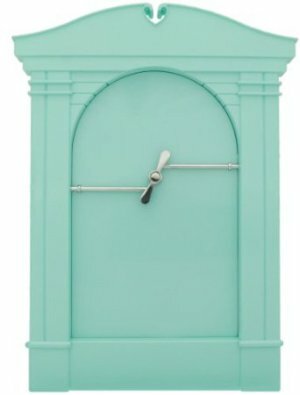 It comes in several pastel colors (including pink, mint, and yellow) and several sizes, so it could be used as either a cat or dog door. If you are looking for specific instructions on making your own cat door, it will really depend on what you want to do. You will need some basic tools including a power drill and jigsaw wood cutter. I liked this video which gives you a good general idea of what will be involved with creating or installing a cat door. You can decorate around it to add some spice! 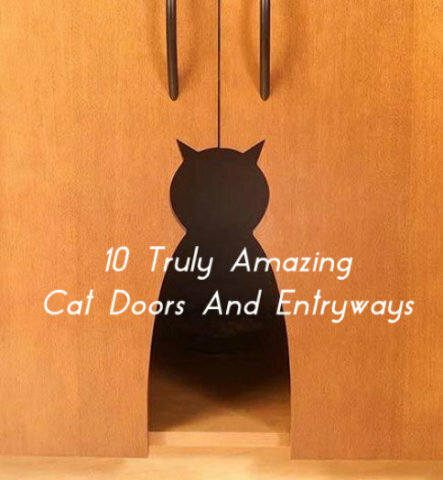 I hope these creative indoor and outdoor cat door ideas inspire you to get a great cat or dog door for your home. It truly can make your life and your cat's life much more comfortable and stylish. Have any creative ideas for pet doors yet? 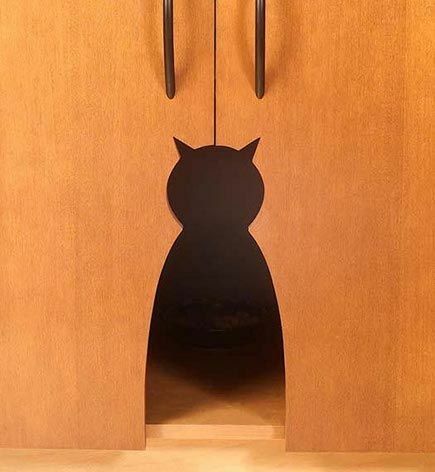 Or know of other great cat doors I've missed? If so, feel free to tell us in the comments section below. Originally published November 2012and updated March 2017.